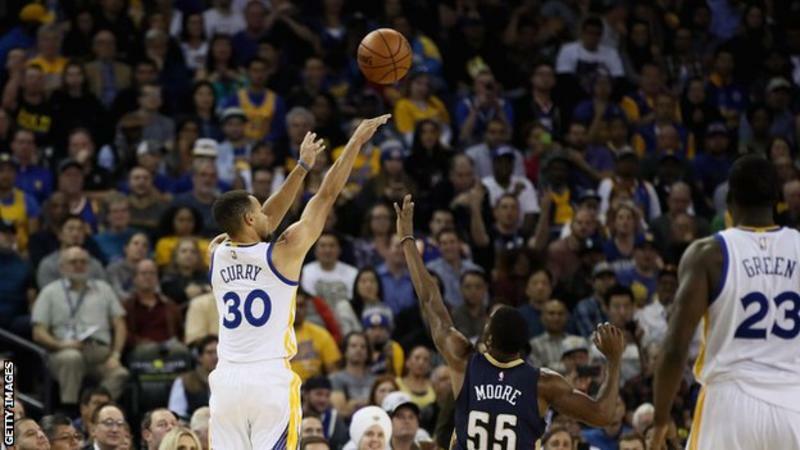 Stephen Curry claimed a record 13 three-pointers in a single game as Golden State Warriors beat New Orleans Pelicans 116-106 on Monday. The reigning NBA Most Valuable Player had shared the previous record (12) with Kobe Bryant and Donyell Marshall. His history-making exploits came three days after the 28-year-old had failed to record a three-pointer in a game for the first time in two years. Curry had previously gone a record 157 games with at least one three-pointer.